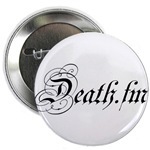 Discussion of Death.FM website and webcast. What ideas and suggestions do you have that can improve DFM? A place to talk about playing styles, instruments, techniques, exchange advice, etc. Discussion of Concerts, TV and DVDs, etc.